First the investment bankers were taking dives off their high rise buildings in what seemed like an act of self-justice. Much of the world was titillated over this. Violence for the corrupted ones, done by their own hands, is certainly a theme that can set your week or weekend on a more positive path. But now there’s a new, even more thrilling trend in the works. Senior CIA officials leaping out of buildings. The name of the man who jumped has not been released. National security, of course. The fifth floor! you might exclaim. That’s not very high. I don’t know about you, but if I wanted to end it all (and I don’t) I’d take a leap from the top of a tall building. The fifth floor leaves too much possibility of surviving with serious, debilitating injury, like being confined to a wheelchair, and being known as a failure in one’s own ultimate solution. “A local area hospital where he subsequently died.” What a blusterer! We figured they drove him to a hospital very far away and took their time. 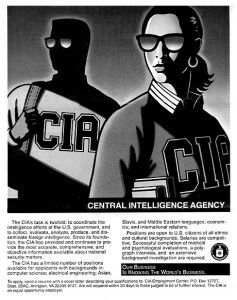 Nobody can claim it’s easy being a CIA agent. It can be fun and exciting, Like Kissinger’s Operation Popeye, which was carried out from 1967 to ’72. They were able to successfully extend the monsoon season by 30-45 days. Not bad. But don’t get any crazy ideas that the CIA or any other government programs around the world has developed or enhanced that forty year old technology of weather modification to be used today. There are more nerve-wracking elements involved, though. Such as the predator drone program that president Obama loves. Because targeting enemies worldwide with surgical missile strikes is actually one of the more exciting elements of being in the CIA or the Oval Office. It’s like playing a video game, but the gore is real. That’s a thrill in a way most people can’t comprehend. Yet, it wears on one’s nervous system. Blasting children and farmers in Afghanistan can destroy a person’s adrenal glands after awhile. Sometimes CIA agents have to get blood on their hands. And mucus and other bodily fluids, too. This comes from the more hectic act of illegal torture that the CIA and Congress said wasn’t going on, until it was admitted that it actually was going on, but it’s still top secret, and the reports won’t be published. If they do get published, they will be heavily redacted. It’s for your own safety. And then there’s the intricate planning of Operation Northwoods. This covert gem proposed that CIA operatives “develop a Cuban Communist terror campaign in the Miami area, in other Florida cities, and even in Washington.” Other options would be to use a false flag attack on Cuban or US military bases. Shoot down a US airliner, blame it on a Cuban Mig, and broadcast over American media the false aliases of supposed college kids who were returning from a trip abroad as having been killed in the attack. Then they would wheel out a drugged up patsy, an alleged Cuban refugee, and blame it all on him. The patsy was to be tied back to Castro to drum up support for sending in American troops. President John F Kennedy rejected the proposal at the time. So don’t even think about the possibility that the CIA, or other vicious government agencies running partially on shadow budgets could or would carry out something like that in our modern times, so as to blame it on Arabs, Muslims, American patriots, or any other type of group that might stand in the way of geopolitical or domestic plans by our much smarter leaders, and their global, corporate handlers. 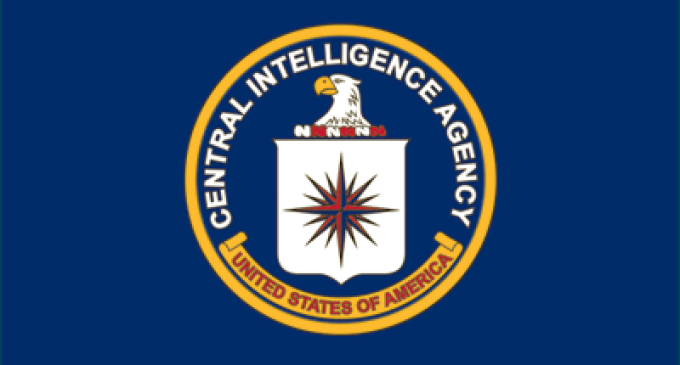 There are dozens of programs and covert actions that have been leaked or declassified that call into question the sanity, integrity, and purpose of the Central Intelligence Agency. Of course, not all CIA agents are malfeasant or cruel. The department is expertly compartmentalized, so that the right hand does not know what the left hand is up to. Some of us just want to make a little money doing what we love, and living peacefully. Some of us want to start families. Some of us want education and knowledge, with time to think and ponder and honor the awesome and infinite array of complexity found in life, willed into being by the Creator. Others want to control, manipulate, destroy, coerce, and poison wholesome people. They want to subvert entire populations into craving cheap desires and capable of limited brain functions. To those people we should say, Jump off a building so we don’t have to waste time trying to prosecute you.